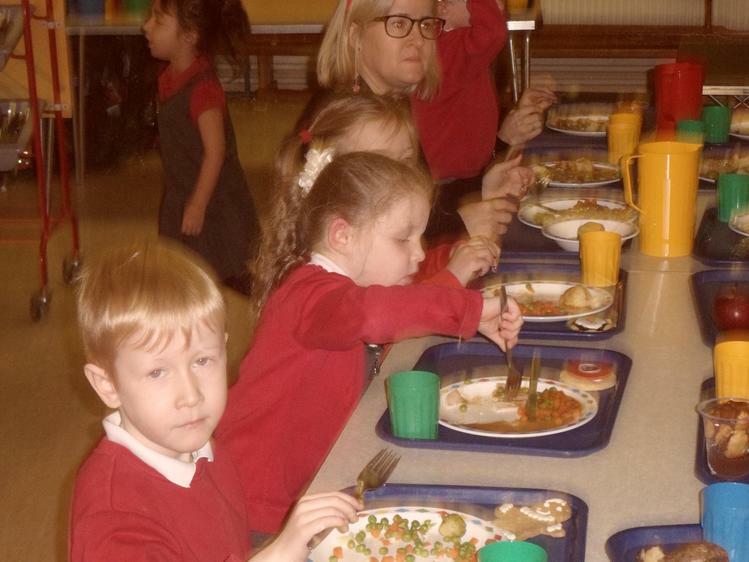 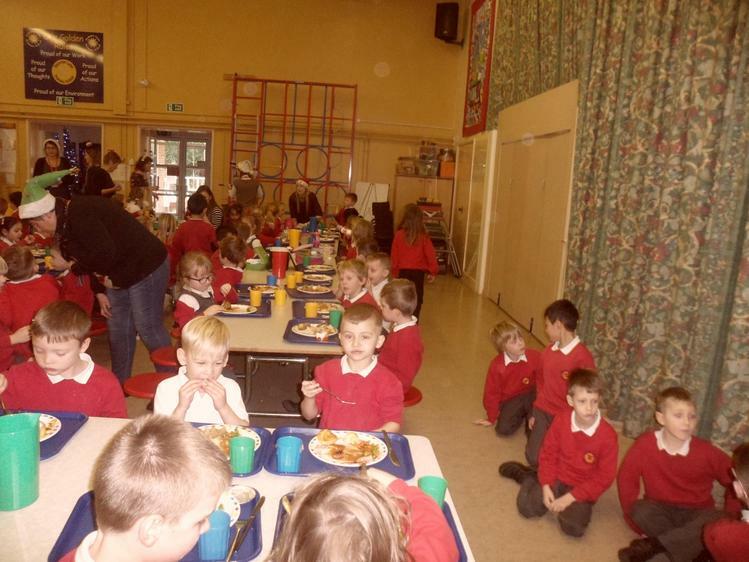 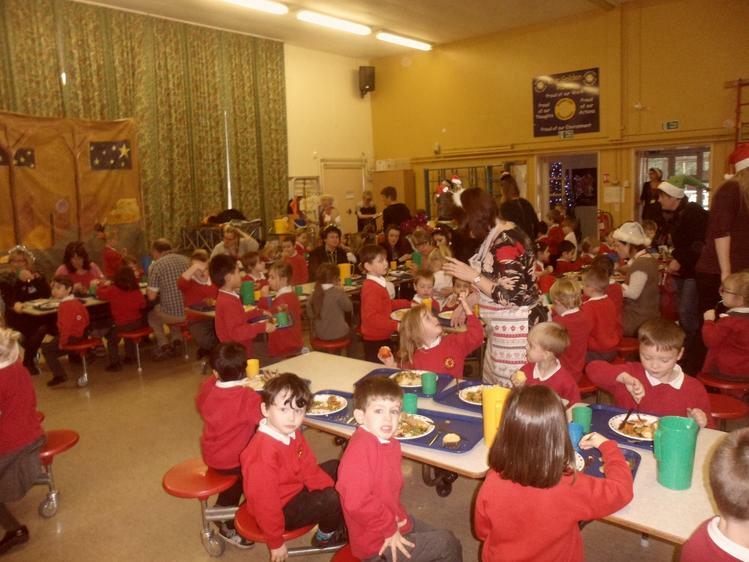 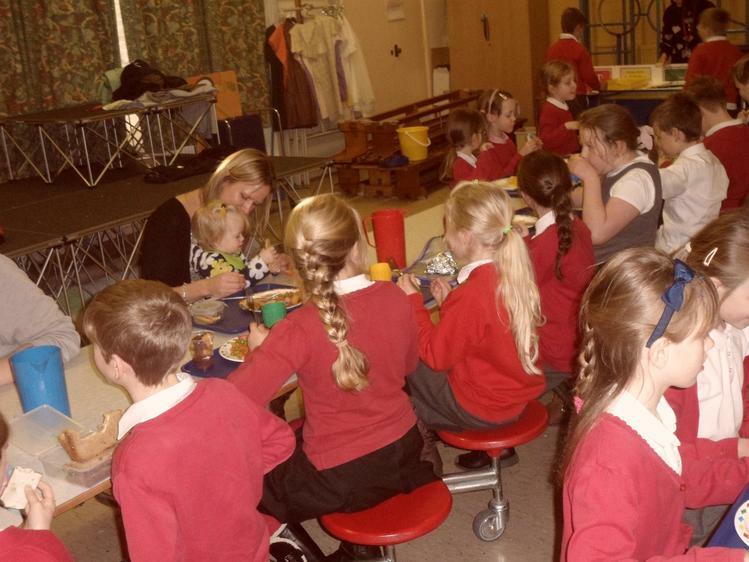 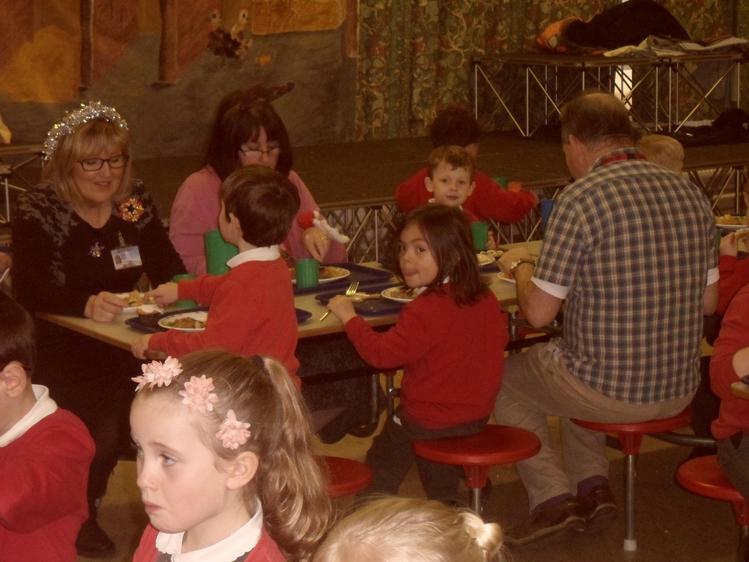 Today (Wed 9th) we had our school Christmas Dinner. 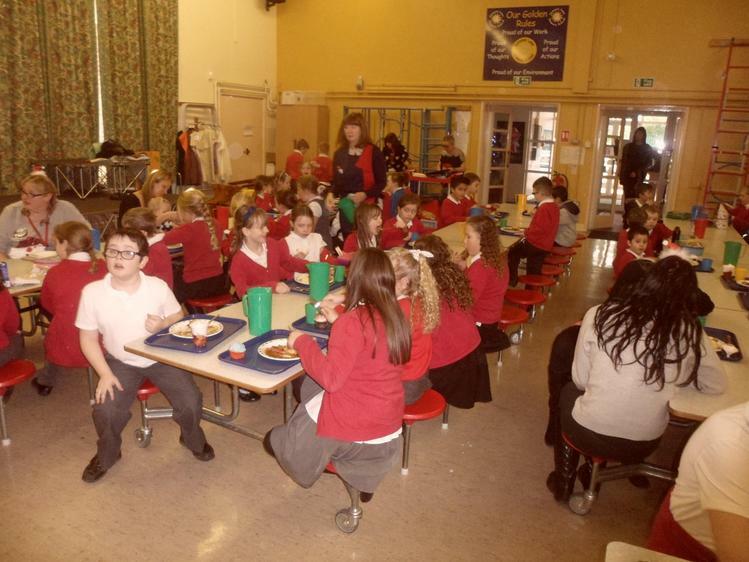 There was a lovely atmosphere in the hall. 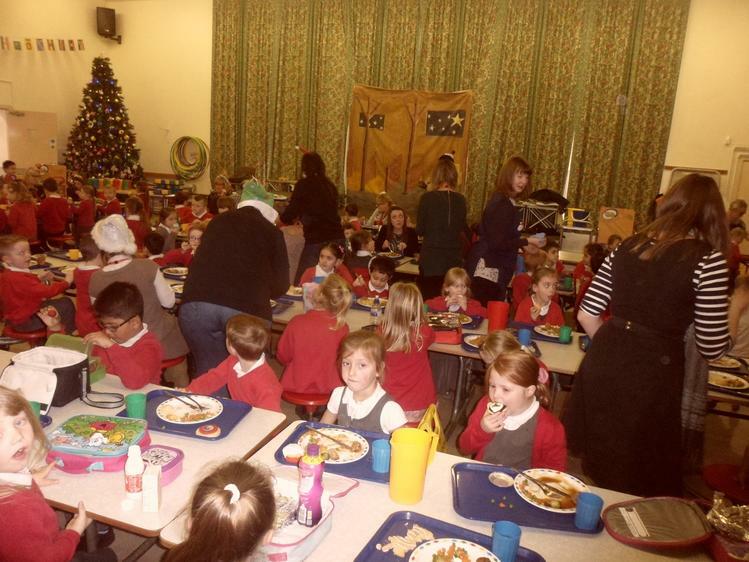 Big thanks to all our kitchen staff (Nikki, Tina, Karen & Yvonne) plus all our SMSAs.